Gain valuable experience and skills while working within the industry. Earn a salary and have your training paid for. Find an apprenticeship programme that is right for you with UCEM. ensure a safe working environment for themselves and others. RICS Associate assessment leading to Associate membership and the AssocRICS professional qualification. Development of the required knowledge, skills and behaviours is through a combination of workplace training provided by the employer and off-the job training provided by UCEM. The Surveying Technician Advanced Diploma is delivered through a blended learning delivery model comprising fully supported online learning and a series of monthly face-to-face workshops. You will be assigned a Technical Mentor in the second year of the programme to support you and your employer through the structured training period prior to the AssocRICS submission. The apprenticeship is assessed through on-programme and end-point assessment. See here for further details. Enables direct progress (subject to suitable employment) progression to the Level 6 Chartered Surveyor apprenticeship. Negotiations with tenants or prospective tenants. Property managers also assist businesses to plan and deliver essential property decisions such as the best use of space, suitable technology solutions, human resources and safe surroundings. RICS Associate assessment following the Commercial Property Management pathway leading to Associate membership and the AssocRICS professional qualification. You should also read the Programme Specification for the detailed information on the structure of the Level 3 Surveying Technician Diploma, the learning outcomes and details of assessment. Details of the RICS Associate assessment for this pathway are given in the RICS Associate Commercial Property Management pathway guide. The planned apprenticeship duration is 30 months. The actual duration is determined by when the employer and UCEM deem the apprentice to be ready to undertake the RICS Associate assessment. *In addition to the core and specialist units, a Personal Effectiveness/Study Skills unit is delivered across the two-year taught programme. This unit covers IT skills, literacy, numeracy, reflective practice and study skills. Please Note: Where considered necessary to do so at any stage, UCEM may seek to make variations to programme content, entry requirements and methods of delivery, and to discontinue, merge or combine programmes. This is subject to consultation with relevant students and other stakeholders setting out the reasons for the proposed amendment(s) and compliance with the requirements of the UCEM Code of Practice on Programme Monitoring, Amendment, Review and Discontinuation. Should such an eventuality occur during the admissions and registration process, applicants will be informed immediately of any change and the alternative arrangements that have been put in place. Applicants must have the right to work in England, spend at least 50% of their working hours in England, be directly employed in a job role that will enable the requirements of the apprenticeship to be achieved. A working level of Level 1 and a BKSB Level 1 diagnostic assessment score of at least 75% for the other subject. Non-standard applicants that are admitted to the programme will be required to achieve Level 2 Functional Skills in mathematics or English (as appropriate) within 12 months of the commencement of the programme. “I would definitely recommend others to study with UCEM, they cater for people of all different academic backgrounds; whether you are studying straight from school or whether you have had a break and want to return to study. The Virtual Learning Environment (VLE) contains lots of content and activities that keep you engaged. 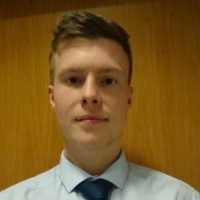 I also find that I am asking a lot more questions and communicating a lot more with tutors than I would with traditional teaching styles. There is nothing that you can’t find on the VLE and the forums are a good place to go as other students share their queries. Half the time a question I wanted to ask is already on there and a tutor has already answered it – so that’s really helpful. If you successfully complete all elements of the programme, you will be awarded the UCEM Level 3 Surveying Technician Diploma and will gain the RICS Associate professional qualification and will be entitled to use the designation ‘AssocRICS’. 2019/20: Apply by 19 August 2019 to start 30 September 2019. Please note: you will only be invited to apply once suitable employment conditions have been confirmed. For this to happen, your employer will need to provide advance employment information to UCEM. Apprentices do not pay course fees. All learning resources required are provided as part of programme. If you are an employer then you will be able to use the Apprenticeship Levy to fund part/all of this apprenticeship pathway. See our Employing an Apprentice page for more information. An apprenticeship is a full-time job. Employers are required to release an apprentice from their normal paid working hours to undertake off-the-job training. Typically, this is an average of one day per week. The Surveying Technician Diploma element of the apprenticeship typically requires 7-10 hours of study a week for 42 weeks per annum – this means that in addition to the release time that your employer gives, you may need to undertake some study each week in your own time. During the structured workplace training phase of the apprenticeship you will need to regularly record your competency evidence using the RICS Assessment Resource Centre (ARC) portal. You will also eventually apply and submit for RICS Associate assessment via the ARC portal. To search and apply for apprenticeship vacancies in England we recommend that you visit the government’s Find an Apprenticeship website or RICS Recruit. If you are already in suitable employment or would like more information, please email admissions@ucem.ac.uk for guidance on next steps.